We’ve been reviewing what I call “Space Cutlery” lately. Basically anything that looks like it could be used in a science fiction movie. In this case it’s Scandinavian design but that’s close right? 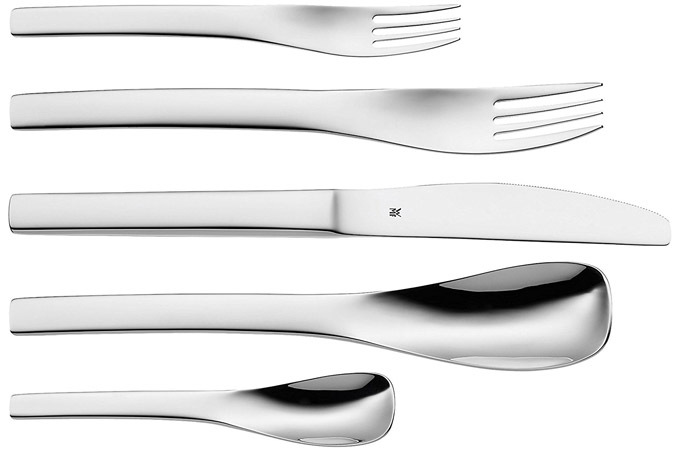 From WMF comes the Vela 20-piece flatware set. And it has a very sleek and modern design to say the least. Made of dishwasher safe 18/10 stainless steel with a polished finish. This is a service for four that includes four each of a dinner knife, dinner fork, salad fork, dinner spoon and teaspoon. And it’s gift boxed! Kind of a fun video showing amazing things you can do with that extra spoon in the cutlery drawer. They say there are 20 things here to do with a fork and spoon but I think I counted more. Let me know which ones worked best for you! Wow, look at that fork and spoon design! This is the cutlery from the movie 2001 I think. Not sure, but this is some modern sci-fi flatware if I have ever seen it. This ultra-modern set from Sasaki is called Aria. Made of 18/0 stainless and dishwasher safe. 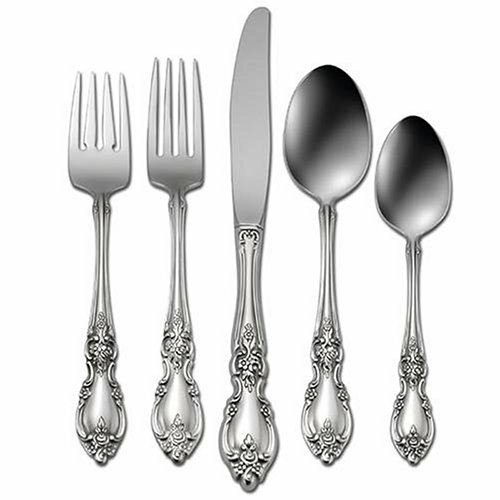 This 20 piece set is a service for 4 consisting of four each: dinner fork, salad fork, dinner knife, dinner spoon and teaspoon. I looked at this set and it reminded me of a trip last year to some classic restaurants in New Orleans. Then I looked at this cutlery’s name and figured I wasn’t too off the mark. Oneida brings us their very classic looking flatware called “Louisiana”. This set belongs in your dining room. Made of dishwasher safe 18/10 stainless steel with a traditional fiddleback pattern detailed with flowers and scrolls. And a limited lifetime warranty as well. I’ve linked below to the 20 piece set but it also comes in 5, 20, 30, 45 and 68 piece sets. 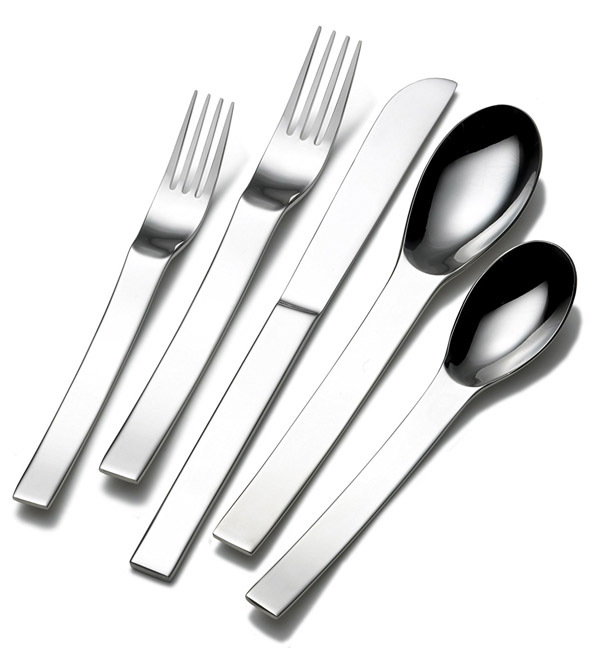 A blog on cutlery, flatware, utensils, tableware, silverware or whatever it’s called at home. Whether it’s a fork, spoon, knife, spork or knork we’ll cover it. This is not Silverware by Tim Burton. It’s by Isaïe Bloch. FlyingColors Laguiole Style Flatware Set – Cutlery with Color!